Aaah…just when you think that pigeons are beautifully sweet and curious creatures, they zoom in for the attack. Tiny sacks of seed can be purchased at the vendor kiosks that dot the square. But be forewarned. This first rattle of seeds falling into your hand will call in the waiting birds from their roosts. Often, more than you bargained for. I love these two pictures. 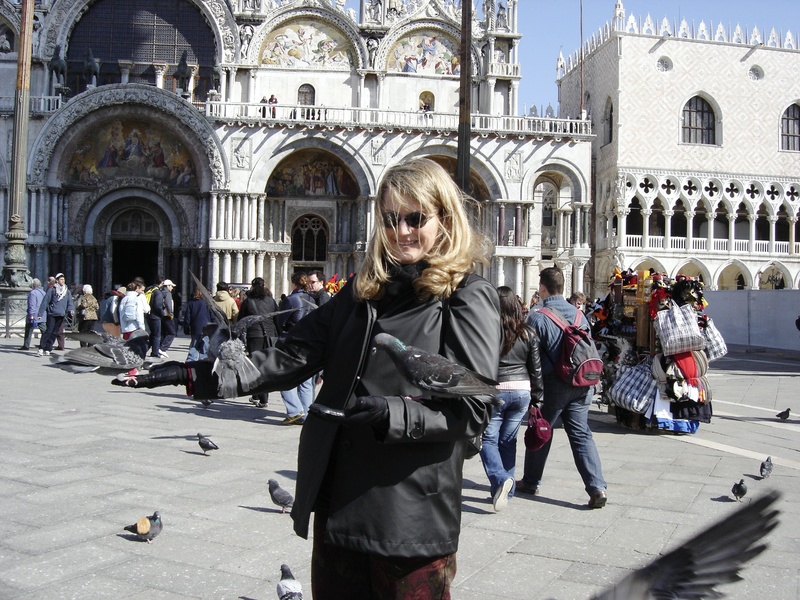 It is so hilarious to look back at my cool demeanor as the pigeons begin to settle on my arm and onto my shoulder. But as you can see, the little rascals don’t hesitate to land on your head and ruffle your hair. 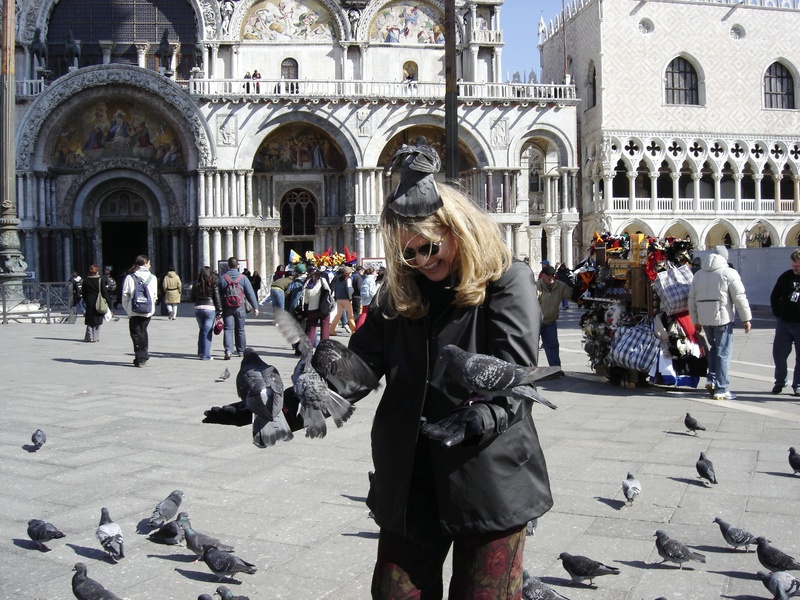 I’ll post more photos of Italy in the coming days, especially Venice, one of my favorite places on earth. And if you are thinking of going, now is the time. With tourist travel at a minnimun and searing heat yet to come, the cool late winter/early spring period is the right one to see Venice in. Take a nice pair of gloves, a hat and scarf, and layer your clothing. Some days will be warmer than others, but the payoff is a clean city, lack of debris in the canals and few lines at the museums and Cathedral. 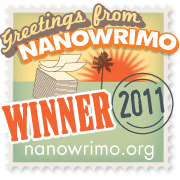 You won’t have the bother of insects, either, especially the dreaded mosquitos that find some of us too delicious to pass up. Most hotels will have heat even if they don’t have air conditioning. With most children in school, it is also the perfect time for a romantic getaway. Valentine gift maybe? Whatever the occasion, or none at all, take advantage of the cooler weather in Venice, Italy. And don’t forget to feed the birds!